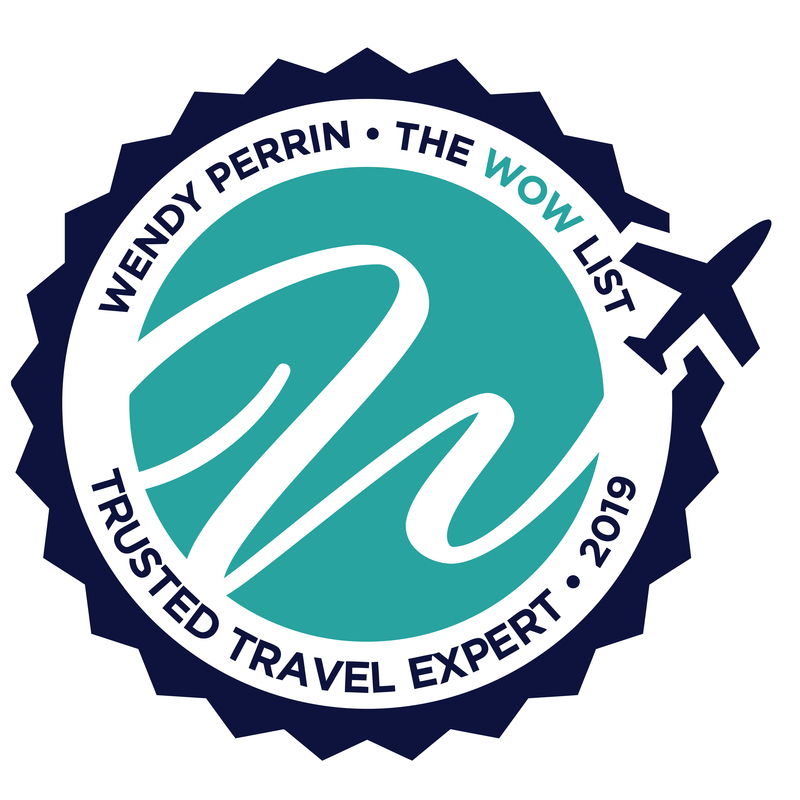 Nina Wennersten and Dan Saperstein are on Wendy’s WOW List of Trusted Travel Experts for their expertise and connections as regards East Africa and South Africa Safaris. The reviews below are from real travelers who’ve taken trips that were arranged by Nina and Dan and monitored by Wendy. Don’t miss Nina and Dan’s Insider’s Guides to South Africa and East Africa, Safaris. Nina and Dan assisted my wife and me in organizing an almost 3 week trip to South Africa in September. The trip was terrific and Nina’s and Dan’s guidance was spot-on and invaluable. The hotels in Capetown, Hermanus and Franschhoek were exactly to our liking…..smallish boutique well-appointed properties, well located for easy walking to town/sights, with exceptional service by the respective staffs. We could not have identified these perfect fit accommodations without Ninas and Dan’s knowledge and help. Their experience was also invaluable in choosing our 2 safari camp locations. Nina and Dan fit put us into 2 camps that fit our budget yet were luxurious and provided us with 2 different experiences in Timbavati and Sabi Sabi. Again, we would never have been able to make such an excellent choice by ourselves. Our in-country logistics were flawless and Ninas and Dan’s recommendation for a South Cape tour was perfect…it cost a bit more than the standard offering, but the guide was excellent and the experience superb. The guide had even arranged for us to have a penguin expert from the local association to accompany us on our visit to the penguins which added tremendous value to that segment of the trip. Lastly, we were concerned over baggage restrictions when flying out of safari back to Joburg on Federal Air. This concern was quickly dispelled by switching that flight to SAAirkink which had no such restrictions. This required a short transfer from our camp to a local airport but was well worth the small inconvenience so that we could pack what we desired for a 3-week multi-faceted trip. I would certainly recommend Nina and Dan to anyone wanting to plan a trip to South Africa. Nina was fabulous. We can’t say enough. Our trip was perfectly planned and executed. In planning, Nina got to know us and fully understood what we were looking for. As a result, she chose properties and experiences that were just what we were looking for. We celebrated our 30th anniversary on this trip and Nina made sure that every property did something special to help us celebrate. She also made sure we had the best rooms and on safari the best guides. While we were in Africa, Nina checked up on us to make sure everything was going smoothly and that we were enjoying ourselves. We could not have planned this trip without Nina’s help. We highly recommend Nina and her team. From the minute I contacted Nina and Dan they were incredibly giving of their expertise and time. I had already spoken to several tour operators specializing in Africa and was completely confused about itineraries and accommodations in my target area of Tanzania. They helped me make sense of the choices and ultimately suggested Kenya as the best fit for my needs. It was an incredible trip!! They selected beautiful lodges in 3 different conservancies, each with its own unique animals, topography and cultural exchange opportunities. I believe they have great relationships with the properties they select such that we got what seemed like extra special treatment, great rooms, great guides and a few surprises like special birthday wishes Maasai style! I can’t recommend them highly enough! Hi Wendy! Thank you to you and your team for suggesting Nina and Dan. Leslie and I had a beautiful trip and we are now in love with Kenya. Dan and Nina were very responsive to our needs and set up a seamless trip. The lodges were gorgeous and the staff and guides were both knowledgeable and accommodating. We are grateful for the expertise of everyone involved. You really learn the value of a seasoned travel planner when there is a hiccup during your trip, in this case, weather-related. We have been to Africa on safari a couple of times during the dry seasons, this time we opted to see Kenya in East Africa when it was Green. This is our second trip arranged by Nina and Dan and they frankly nailed it – from the moment we landed – when the door of our Airbus 330 opened in Nairobi there was someone from the ground handler to meet us – not in the terminal but at the top of the airplane’s steps! Who does that! The three lodges we stayed in were all excellent, each unique, each providing a different experience and matched our desires of comfort and activities perfectly. The hosts/managers in each were long in experience, provided excellent to over-the-top notch facilities, impossibly courteous and knowledgeable staff, seriously good and locally sourced food, fantastic views and plenty of game activities. But there were weather-related hiccups and this is when Hippo shined. The first occurred one month before we left when we learned from Nina that our final and top lodge was literally washed away in a flash flood. When she called she had already arranged for a replacement lodge, one that is now considered the best in the Mara, and for the same price! This one was above our budget and proved to be extraordinary. The second weather-related hiccup occurred mid-trip when fog delayed our flight from taking off in time to get to the next lodge, forcing us to spend an unplanned night back in Nairobi. By the time we landed in Nairobi, The team, was not only aware but had already arranged with the local airline for ground handlers to meet us, provided an excellent hotel plus dinner, arranged for next day flight, all at no cost to us. This fast and nearly seamless fix to the situation could not have happened unless you have a travel planner with dozens of years in East Africa, has relationships with the air transporters and one that has stayed at every lodge they recommend. I highly recommend Nina and Dan. An excellent trip. Nina and her team work closely with their ground operator, who doubled checked on transfers and sent emails to be sure I was doing ok. They knew I would be arriving late to the game ride and had the manager arrange for me to be driven out to meet the Land Rover already on its afternoon game ride. Wendy, thank you for creating and maintaining The WOW List. We have used your recommended experts four times now, and I’m sure we never would have enjoyed the wonderful experiences that we have without these amazing professionals. Our latest trip, a safari in the Serengeti, was a bucket list trip for both myself and my husband. Now that it’s over, I’m not sure there will be one better — until, of course, we visit Africa again. Dan Saperstein quickly reached out to discuss all aspects of our safari, guiding us, if you will, to the best possible itinerary. As my husband abhors small planes, Dan recommended a driving safari throughout different sections of the Serengeti region. Furthermore, based on our preliminary conversations, he also thought we’d really enjoy the tented camp experience. He was absolutely right on both counts. Our driver/guide was nothing short of amazing. In addition to sharing his seemingly boundless knowledge of all things safari, we appreciated hearing him talk about what everyday life is like in Tanzania. All in all, I wholeheartedly recommend Dan & his team. Again, thank you—many of our travels have no doubt been elevated from good to extraordinary because of The WOW List. I know when we are ready to go on our next adventure we will turn to a WOW expert. Their recommendations turned out to be top notch. They gave us good advice about when to plan the safari part of the time in order to avoid the rainy season. Literally, the rains stopped in the safari area about one week before we arrived. During our time on safari, we had beautiful weather. Also, their recommendations about which safari reserves to use turned out to be top notch. They created several very detailed itineraries for us until we settled on one; they provided very thorough pre-trip notes so we were fully prepared; all the people who were supposed to meet us did so; all the internal flights we were supposed to be on were there; before the trip the planners were available to answer any questions; they even prepared a special rundown for me of suggested tips. I really have nothing negative to say about them and would certainly use them again. This is our second trip using Hippo Creek Safaris and again and again they are phenomenal in their execution of a perfect vacation. I took my entire family this time (6 people) and even with multiple people and with multiple needs every request was no problem and without a hitch. Their recommendations are first class and their experience is second to none. The most important thing to me is in the planning and execution, their communication level is outstanding. They are always available and always accessible to discuss a change or suggestion or concern. They respond almost immediately with a detailed and thoughtful email. The customized and detailed itineraries are beautifully done with pictures and timelines and detailed information or every step of the trip. I am an experienced traveler and have been to Africa several times and I would use them again and again and again. Whether it is your first trip or you have been there before, these people are first rate, first class and the first I would call. Highly, highly recommend. We really didn’t know what to expect when we planned our safari trip this year. Our must haves were animal viewing, noteworthy accommodations, Victoria Falls, and Cape Town. The experience Dan of Hippo Creek Safaris planned for us surpassed any expectations we might have had. Everything about Leopard Hills was remarkable. The guides made sure we saw as much as possible in our time there. When we left, after 3 days, it felt like we were leaving family. Dan listened to our needs and really took care of us with very little back and forth. We have many photos of our cottage at Tongabezi because it was indescribably beautiful. Our deck was literally right above the river. The service was exceptional everywhere and by everyone, from the lodging to the guides, to the transfers. Dan truly planned for us a trip that will be forever in our hearts and memories. Because of his efforts, we were able to experience the best of the best. Wendy, we have used your recommended experts a couple of times now, and they have provided us with excellent service and spectacular experiences. Nina Wennersten and the whole team at Hippo Creek Safaris were awesome! Extremely knowledgeable, responsive and friendly. I am a savvy, experienced traveler but was having trouble sorting through all the game lodge options in South Africa. Nina recommended and booked us at Lion Sands in the Sabi Sand private game reserve, and the whole experience was beyond spectacular. Nina also helped recommend touring options in Johannesburg, as well as a great layover hotel there. And while we were looking for a luxury experience, and she totally delivered, she was super helpful in managing the cost. I would definitely recommend Nina and Hippo Creek Safaris (and Lion Sands) to anyone looking to book a South African Safari. Our trip was the best we have ever taken. It was hard to top last year, but I believe that it did. I have used many of your WOW List travel experts but I believe one of the things that separates Dan and Hippo Creek from others is the premium level of communication they provide. Every question is met with a thoughtful, well-considered and prompt response. They really get to know the client and are incredibly attuned to their needs. They listen, which is a real skill, and they really came through. Big time. Their on-the-ground team has a real presence so there is always someone available in Africa to make sure that all of your needs are met. The service that we received was first class and reliable in every aspect. There were no glitches anywhere. Every guide at their disposal was knowledgeable and personable. The camps that were recommended were all outstanding. Dan and Nina also seem to have close relationships with the best camps and the red carpet was rolled out for us at all of these camps. It really makes the experience of being so far from home much more comforting. All in all, I cannot recommend anyone higher than what we have experienced with Hippo Creek. I would use them again without hesitation and I would recommend them again with the highest possible praise. A visit to Africa has been on our must-see list for many years and this past December my husband and I, with our 2 college-age sons, finally traveled to Tanzania. I contacted Hippo Creek Safaris based on Wendy’s recommendation and could not have been happier with the outcome. Everything was spot-on: the itinerary, the pre-trip instructions, the accommodations and our local driver/guide were beyond our expectations. Nina and her staff planned the most amazing trip for us. My husband and I are planning to return to Africa in a few years and will definitely use Hippo Creek Safari for this next trip. I contacted Hippo Creek Safaris based on Wendy’s recommendation. Nina called me back within an hour of my email and from our first phone call, she felt like an old friend. I had not done any research prior to calling and simply knew that I wanted to go on safari to Kenya and Tanzania. Nina gave me all kinds of great ideas based on my interests and immediately put together a few possible itineraries, complete with beautiful pictures. She is infinitely patient and will talk through all of your decisions. Any time I called, she picked up the phone and always had time for me. Such personal service! The trip was beyond my wildest dreams. Nina and Dan took care of everything, from a detailed list of everything we needed to bring, to instructions and form letters to submit to the embassies to get our visas. Once we arrived in Africa, our every need was met by people on the ground with Nina and Dan’s partner agencies in Kenya and Tanzania. We even had people meet us in the airport to give us lunch boxes, find our luggage, get us checked in to the local flights to get from camp to camp. The lodges they use are intimate and mostly on private conservancies which allow you to go off road in Kenya. Our safari vehicles never had more than two couples (in Tanzania, we had our own driver and vehicle for five days) and our guides were the warmest, most knowledgeable people I have ever met. Everything I read about a safari planned by Nina and Dan was true–absolutely stress free (even for novices) yet filled with surprises such as private dinner on the porch of our tent cabin in Kenya or a suite in a hotel upon arrival in Nairobi complete with wine, cheese and fruit after a long flight. I thought that our trip to Africa would be a once in a lifetime trip, but after working with Nina and having such a fabulous trip, we immediately began thinking about when we could go again. Look no further than Hippo Creek Safaris–they are the best. Dan and Hippo Creek Safaris provided an above-and-beyond experience! Aside from the stunning accommodations and unique game drives we enjoyed, Dan made our travel seamless! Their kindness is only matched by their attention to detail. We will definitely work with Hippo Creek Safaris again!